In recent years, social media have been gaining popularity in terms of social connections around the world. Researchers such as Godwin-Jones (2008) have claimed that social networks have the ability to engage learners in meaningful communication by providing meaningful contexts. Furthermore, because social networks are well-established, it is possible for effective e-learning to take place through these settings. Milošević et al. (2015) regard the current age as a computer era, and learners as natives of the computer age who rely on a computer for everything from recreation to learning. They consider social networking sites, particularly Facebook, as an important site for learning. Facebook was developed by Mark Elliot Zuckerberg in February 2004 for the educational purposes of Harvard University students. This social networking site immediately gained popularity and by 2006 it was accessible to everybody over 13 years old who had a valid email address. Facebook is still used in the United States for educational purposes as part of a daily routine. Milošević et al. also claim that over 90 per cent of students use Facebook as an educational resource. Facebook leaves a positive influence on students’ lives in general as they use it to contact their peers, solve common tasks more appropriately, and participate in group projects. Teachers may also join in by forwarding useful website links related to the lessons learners need to learn. On the other hand, some critics have raised concerns about the possibility of the negative impact of Facebook on learners. For example, sometimes learners can post unsuitable or irrelevant pictures in their profiles, which may negatively impact on their job opportunities with potential employers. Facebook promotes team-based pedagogy, which significantly supports the teaching and learning process by allowing teachers to identify the learning difficulties of the students and extend innovative support accordingly. E-learning which uses social networks may have a positive impact on learners’ performance. Facebook can also be used as a resource in second language (L2) teaching and learning as it provides an opportunity for non-native language users to interact with native speakers, which is otherwise an expensive matter, and it familiarises them with how speakers across the globe communicate. As language is a cultural resource, Facebook can be a medium for cultural exchange. This article will focus in particular on the case of Pakistan, which is a non-native English-speaking country where English is one of two official languages (i.e. Urdu and English) and is taught as a second language (L2) in schools, colleges and universities. In the local Pakistani context, native-like use of English is often dreamed of and is associated with high achievement and success. However, common people in Pakistan generally have limited exposure to native English-speaking contexts, as they usually have limited opportunities for international travel, whether for economic, social or personal reasons. In such a scenario, social networking sites such as Facebook may prove useful as a medium for interaction with students and teachers in a native English context. Such opportunities enable local Pakistani people to increase their knowledge about the native English-speaking context without physically having to be there. Since the Pakistan government’s new emphasis on computer-based education and distribution of laptops to deserving university students in Punjab, it is much easier to develop Facebook groups for educational purposes. Facebook can be used as a platform to teach students a second language. With features such as picture uploading, writing comments, updating one’s status and Messenger, Facebook can be used to develop learners’ writing skills. Social topics such as excursions or achievements can also be planned better using Facebook. Academic writing is one of the weaker areas of Pakistani university students, but by linking various study groups together and arranging live talks by native English-speaking users on Facebook, this can provide a useful platform for non-native users. The linguistic discourse of Urdu and English is different in many ways. For example, the Urdu language permits directness in building an argument while the English language promotes hedging to make the listener or reader a part of the conversation or text and give them space to agree or disagree with the speaker or writer. For example, the use of phrases such as ‘in my opinion’, ‘as far as I know’, ‘maybe you agree’, etc. is common in the English language, while it is not commonly found in Urdu. Facebook-based L2 learning may help non-native users to learn such language norms as used by native speakers through one-to-one interaction. Facebook-based learning is very different to traditional pedagogical practices involving a classroom setting with learners, teacher and resources such as books or computers. Nonetheless, it has a wide potential to be used as a social learning site for language learning and the exchange of ideas through the provision of informal and non-structured learning tailored to L2 learners’ practical needs. Moreover, it is a low-cost medium of learning which may enhance students’ interest in L2 learning. From the perspective of a language teacher, Facebook promotes team-based pedagogy, which significantly increases the teaching and learning process by allowing teachers to identify the learning difficulties of the students and extend innovative support accordingly. According to an AlphaPro survey published on 1 June 2018, social media statistics suggest that of the 198.9 million Pakistani population, there are 35 million active social media users. Of these 35 million users, 92.06 per cent use Facebook. Thus, Facebook is the most popular social medium as compared to YouTube (4.68 per cent), Twitter (1.50 per cent), Pinterest (1.17 per cent), Instagram (0.18 per cent) and Google Plus (0.12 per cent), and most of these users are young adults. AlphaPro also showed that 91 per cent of these active Facebook users use it on their mobile phones. The low-cost Chinese-made android mobile phone sets and cheap mobile data packages mean that even people on average or low incomes can use Facebook at a very low cost. AlphaPro also highlighted that there has been around 13 per cent annual increase in the number of active Facebook users since January 2017. Thus, language teachers can positively exploit the ever increasing pool of Facebook users in Pakistan to improve learners’ second language skills. 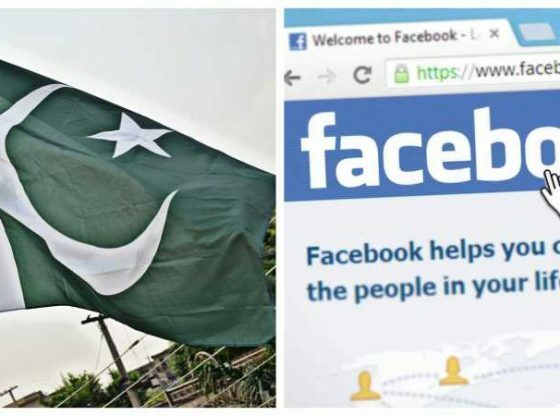 Currently, Facebook is largely used for connectivity purposes with friends and family in the Pakistani context, while less academic use has been witnessed in the country, particularly in regard to L2 teaching and learning. If it is used at all, then it is at the individual level. In educational institutions, particularly higher education institutions, the use of Facebook as a language learning platform should be promoted to provide young adults with better language learning opportunities. Like many other social spheres in the Pakistani context, the use of Facebook is also dominated by male users, who constitute almost 77 per cent of active Facebook users, while female Facebook accounts represent just 23 per cent of Facebook users. Young women do not usually go outside their homes for extra language classes or for tutoring after returning from college or university, for a number of reasons, such as social or economic compulsions. In such cases, a Facebook-based language learning platform can cater to their needs. Keeping in mind the low level of the educational budget, the use of Facebook at the institutional level as a second language learning platform can bring very desirable results at a low cost since learners can log on from their homes in the afternoons or evenings without requiring university classrooms or furniture, electricity, or transport. In short, this article recommends a functional role for the Pakistan Ministry of Information Technology which can plan and monitor for colleges and universities to use Facebook as a useful resource. Other countries with a L2 teaching and learning context – for example, India and Bangladesh, which inherited a similar educational history and where English is also taught and studied as a second language – may find similar implications in using Facebook as an educational resource and could equally benefit by following the suggestions and recommendations provided here. Tanzeela Anbreen is a doctoral researcher at the Centre for Research in English Language Learning and Assessment (CRELLA), University of Bedfordshire, UK. She has worked for the British Council, idp Australia and Cambridge English Language Assessment, UK. She is a faculty member at Lahore College for Women University, Pakistan. Image Credit: CC by The New Indian Express.